The Dorfbahn Serfaus - some features of the Dorfbahn Serfaus are like a subway: It operates in Serfaus independent of individual traffic and along its entire length in a tunnel. Our subway Serfaus is considered as the smallest and highest aircourse underground train in the world. Already 32 years the Dorfbahn Serfaus is in operation. In the 1980s, it was a world-new innovation and transported about 1,600 persons per hour. Now the village railway Serfaus is completely renewed and it will be able to transport up to 3,000 persons per hour in the final expansion (presumably 2019). 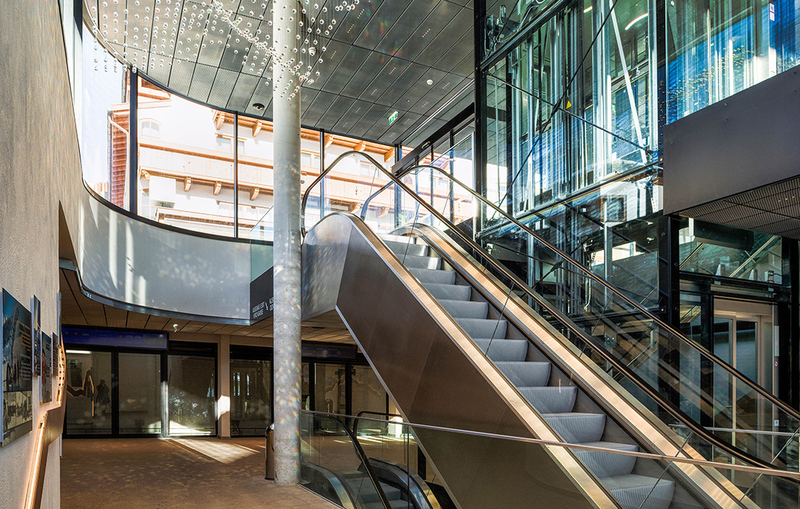 All stations will provide barrier-free access as well as contemporary platforms. The largest construction measures concern the station center and church. 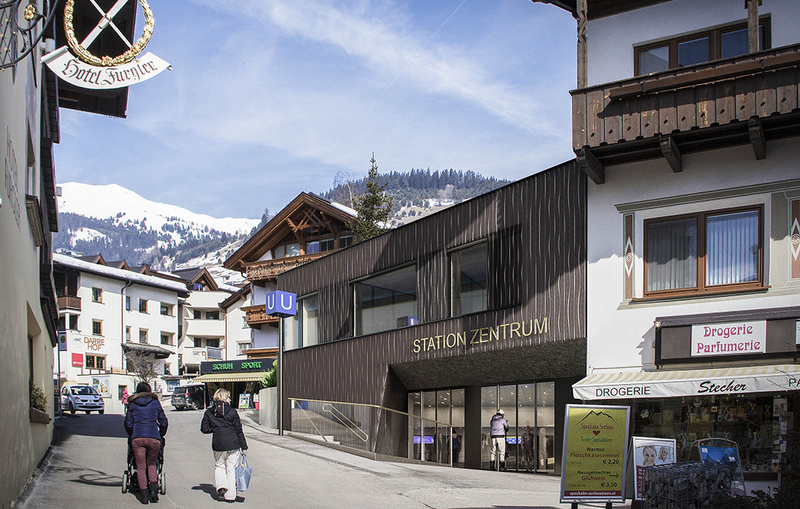 The station center is extended generously and the station church will move about 80 meters towards the entrance of the village. 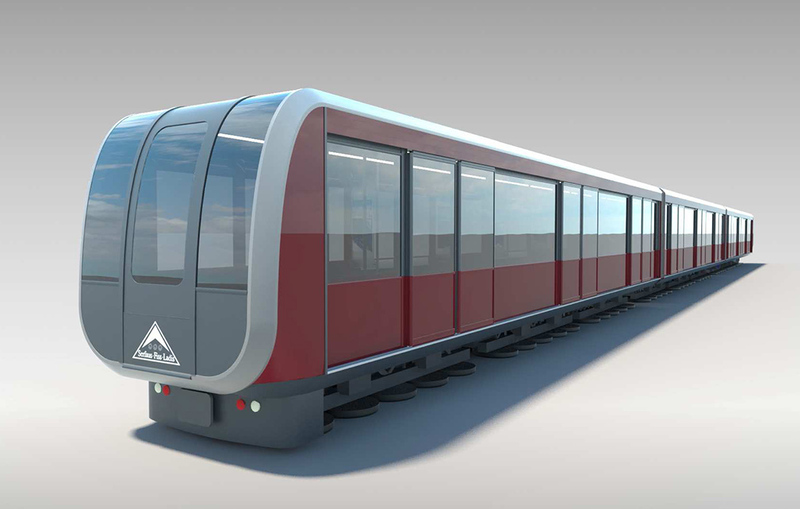 The underground train itself will consist of 3 continuous weighers in the future and offer much more space inside. Wider access doors offer more comfort when boarding and disembarking. transportation was constructed. At the beginning this functioned extremely well, however the number of guests has increased too much for the bus transportation. For this reason the local authorities in Serfaus decided in the spring of 1983 to look for another solution to the traffic situation. After intensive research a revolutionary solution was discovered: A hover cushion railway which runs underneath the village through a tunnel. The Serfaus village railway runs the whole stretch on one track and operates completely automatically. For the completely automatic operation to follow safety standards, the tunnel is separated from the platforms with a wall. Sliding doors are installed in the separatingwalls. The underground interlaces of the hover cushion railway were favored by all involved as the only possible construction method for preservation of the townscape, environmental conservation, independence from weather conditions and effect on the already crowded space available.